On their first day, the Haven CRC team discover the ‘Thorns and Roses’. In West Michigan we are blessed with the beautiful roses in the summer. We love the flower and the fragrance but they do also come with thorns that can be painful. Our journey to Haiti is similar. We have had times for blessing and beauty and God’s revelation but we have also seen the thorns, one of which is a newborn baby with cleft palate with no means of feeding. Poverty, litter, naked hungry children, disease, lack of the ability to “fix” it. But we have also seen the gift of Hope. The Hope in Christ that comes new every morning. We have to rely on His sovereignty and the gift of salvation that we can share with those around us. 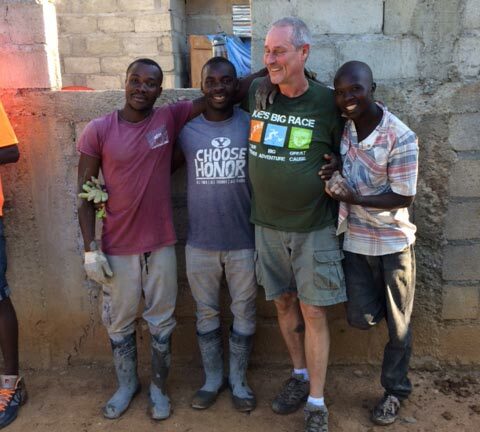 We have meet up with the “3 Amigos” that we worked with in the past on the cement crew. 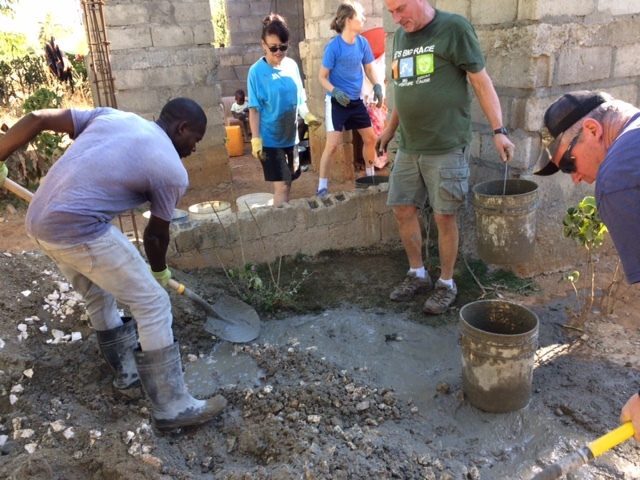 We were blessed to help bucket in cement with them on another house today. We were able to purchase food to distribute the next few days. 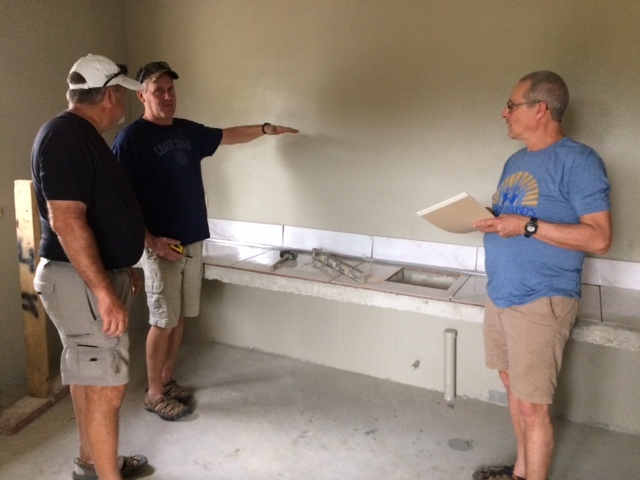 Dave and Dan helped teach some young Haitian men to use power tools to assemble shelving units for the new campus. We were visiting at the hospital, and while we were walking through the front open air courtyard, in came a lady with a baby that was only hours old. The lady was the grandmother of this hours old baby. 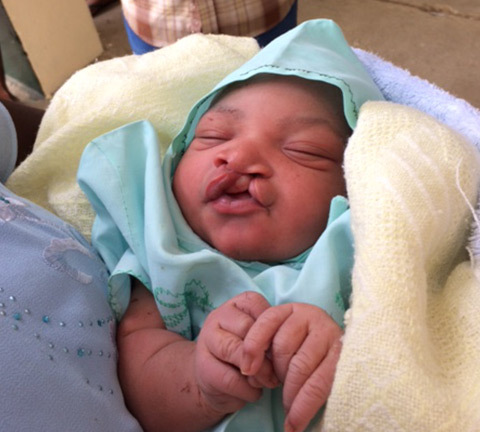 When she showed us the baby’s face we saw that the baby girl had an extreme cleft palate. Christi saw the baby and was able to make some phone calls. We quickly took the baby, grandmother, and baby’s dad to a local orphanage. 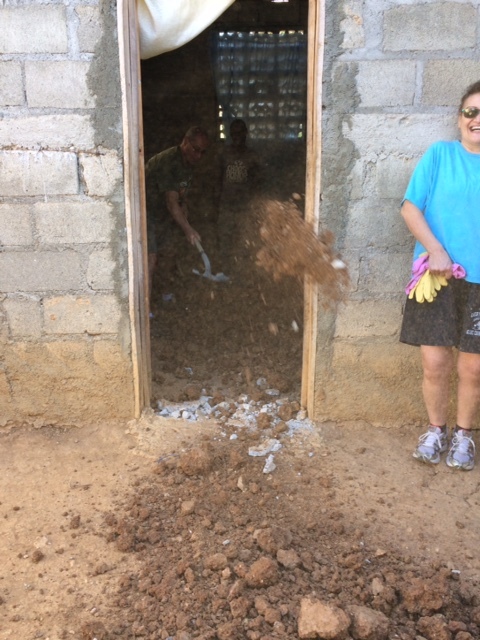 The orphanage had one bottle left that can be used for cleft palate feedings and formula. The hospital did not have any of these supplies. God used us to help make some connections that would be a blessing to this baby and her family. 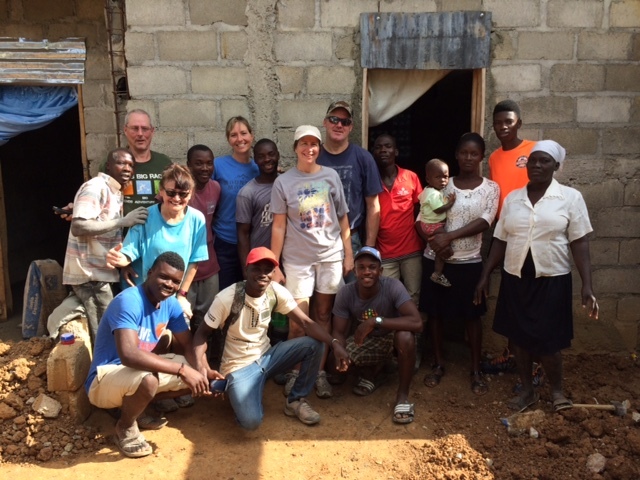 God had us in the right place, at the right time, to give this family hope. There is Hope each and every day that God’s blessings are new to each and every one of us. 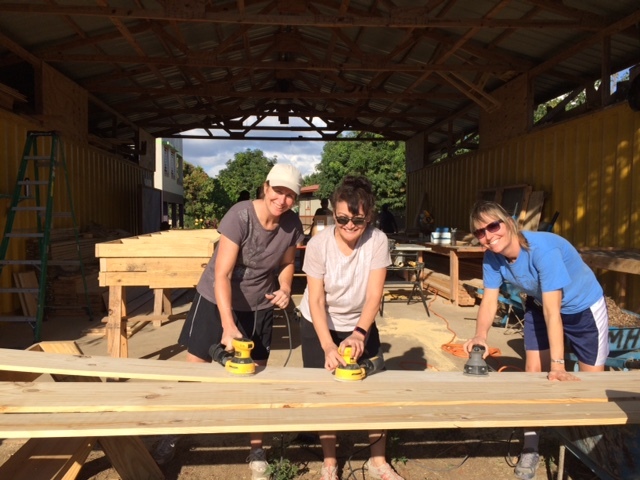 So good to see God using you (Haven Team) as His Hands and Feet! Praying for you! Praying for God to soften hearts to receive His message. Love seeing you Dave with the Three Amigos!! !